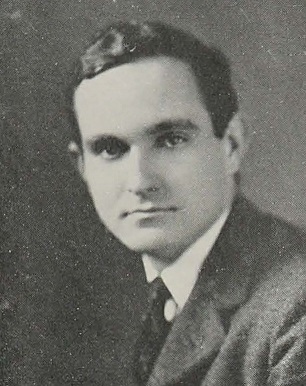 Frank Smith first came to Hopkins as a freshman in 1915. He enlisted in the Army in 1917, leaving school to serve in France. Smith returned to Hopkins along with many other students who had suspended their college studies for military service, receiving his undergraduate degree in 1921 and a medical degree from Hopkins in 1925. Dr. Smith enlisted once again in 1942, serving with the US Navy Medical Corps during World War II. As a student at Hopkins, Smith evidently paid close attention to the events leading up to the US involvement in the war. 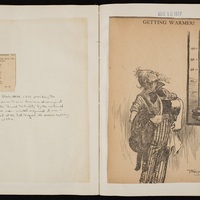 He compiled five scrapbooks of war-related newspaper and magazine cartoons and articles from 1915 to 1917. 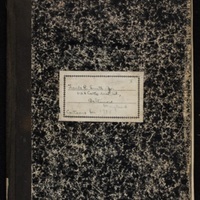 The scrapbooks contain near-daily entries, sometimes annotated with Smith’s own interpretations.